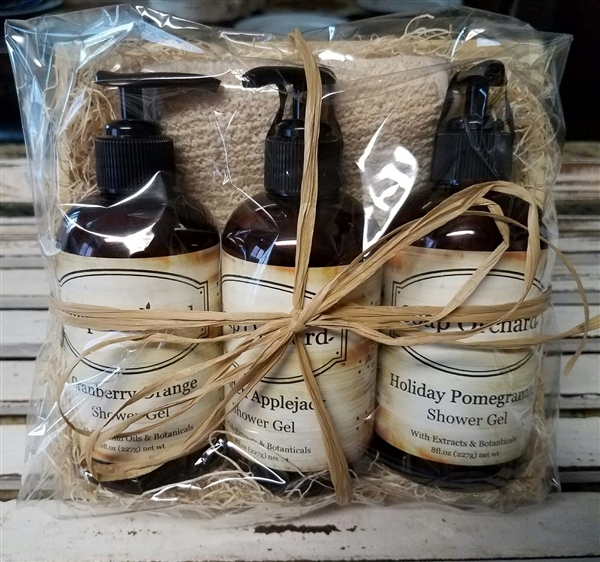 Three different varieties of Shower Gels and a scrubber all in one gift crate. Perfect for the person who loves to mix it up! !